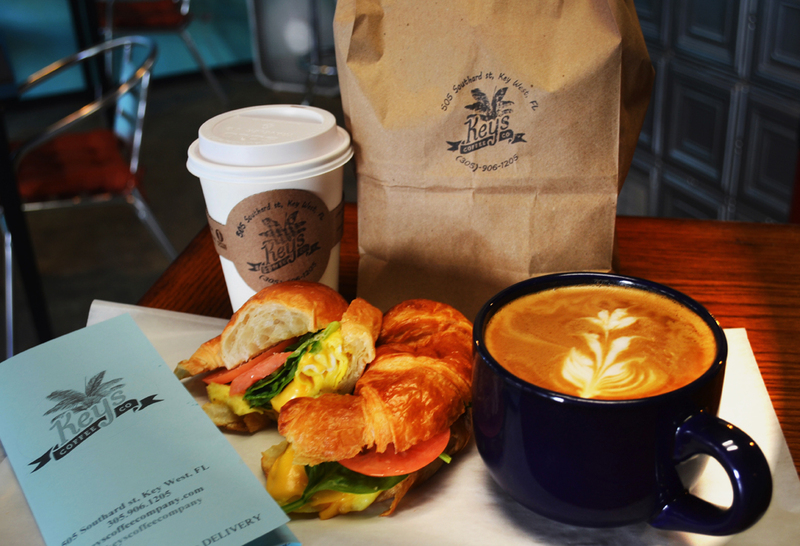 Delivery - Full Menu - Keys Coffee Co.
Take a look at our menu, give us a call, and tell us the order is for delivery! We’re happy to ship any item on our menu to anywhere in Key West — Old Town, New Town and anywhere in-between. Our business is located right off Duvall Street, so the farther away the delivery, the longer it might take for delivery. On average, it takes roughly 30 minutes from the time you place the order to the time you’ve got your food (and drinks) in hand. We accept credit cards over the phone, or you can pay cash. Best of all, there is no service charge — it’s always free. So, if you can’t stop in to see us, you shouldn’t hesitate to still order your favorite breakfast sandwich, latte or even our nitrogen-infused cold brew coffee, and we’ll bring your order right to you! Just remember: it’s never a bad idea to tip your driver!